It is better if customers can provide the parameters of AC motor so that we can configure the controller for the motor before ship out. We need the motor parameters below. Rated Voltage AC voltage or DC Voltage. For example, 42VAC=60VDC. Extended fault detection and protection. The LED flashing pattern indicates the fault sources. Customers can read the error code or message in PC software or Android App also. Current cutback at low temperature and high temperature to protect battery and controller. The current begins to ramp down at 90℃ case temperature, shutting down at 100℃. Maximum reverse speed and forward speed can be configured between 20% and 100%respectively and separately. 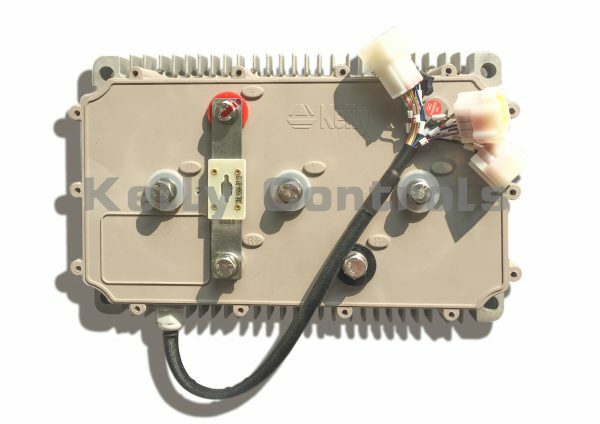 Provision of a +5 volt and +12V output to supply various kinds of sensors, including Hall effective throttle or pedal type. 3 switch inputs which are activated by connection to +12V. Default to forward switch, brake switch and reversing switch. 2 analog 0-5V inputs that default to throttle input and motor temperature input. Configurable motor over-temperature detection and protection with the recommended thermistor KTY84-130/150. Dual Channel A/B encoder input to support the speed control. The power supply of the controller is the standard battery voltage range. Caution! : Regeneration has braking effect but does not replace the function of a mechanical brake. A mechanical brake is required to stop your vehicle. Regen IS NOT a safety feature! Controller may stop regen, without warning, to protect itself or the battery(it won’t protect you!). Synchronous rectification, ultra-low drop and fast SVPWM and FOC to achieve very high efficiency. Voltage monitoring on 3 motor phases, bus, and power supply. Current sense on all 3 motor phases. Configurable limit for motor current and battery current. Thermal protection: current cut back, warning and shutdown at high temperature. Decelerating speed according to the brake rate when brake switch is active. Decelerating speed according to the brake rate at reverse. Configurable reversing accelerating function. Support three braking modes: release throttle braking, brake switch braking or reversing braking, neutral braking. Configurable brake time and brake release time in configuration program. Can program the regen amount in user program for different regen modes. Easy installation: 3-wire potentiometer can work. Standard PC/Laptop computer to do programming. There is one more choice for customers to program KAC-S controller. 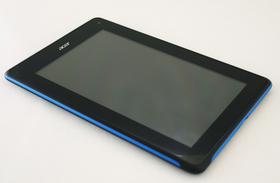 Standard Tablet with Android OS to do programming. Need a Z-TEK USB to RS232 cable for connecting the controller to APP program in Tablet. User program provided. Easy to use. User program can be downloaded from our website for free. Configurable battery voltage range, B+. Max operating range: 18V to 1.25Nominal Voltage. Max output frequency can reach up to 250Hz. 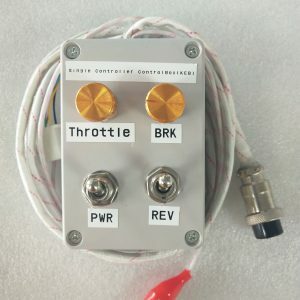 Standard Throttle Input: 0-5 Volts (3-wire resistive pot), 1-4 Volts (hall active throttle). Full Power Operating Temperature Range: 0℃ to 70℃ (Mosfet temperature). 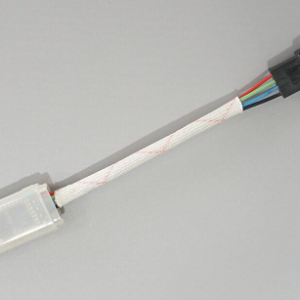 Operating Temperature Range:-40℃ to 90℃, 100℃ shutdown (Mosfet temperature).